Home » Bollywood News » Aamir Khan supports Dangal girl Zaira: Appeals to people to leave her alone! Aamir Khan supports Dangal girl Zaira: Appeals to people to leave her alone! 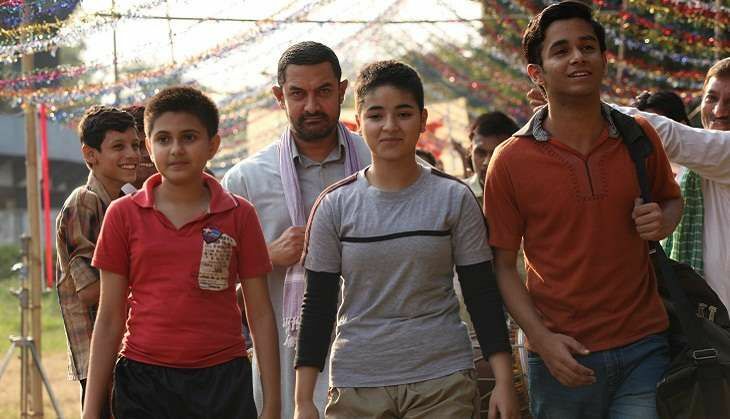 Dangal girl, Zaira Wasim put out an apology note on social networking websites, wherein she revealed that she is not a role model for any one and she isn't happy with the work that she has done so far. The media speculated that the actress was forced to apologise because she had a meeting Jammu and Kashmir CM Mehbooba Mufti recently, following which many people trolled her on twitter, condemning her actions.. Following a series of varied opinions on the statement let out by Zaira, her mentor Aamir Khan took to twitter to lend his support to the young girl. The actor appealed to the people in India to leave her alone and he said his Dangal co-star remains a role model for teenagers across the globe.